Editor: 'There are many reasons why we erect walls, because we are divided in many ways - in terms of wealth, race, religion and politics' writes Tim Marshall in Divided: Why We're Living in an Age of Walls. Thousands of miles of fences and barriers have been erected in the past ten years, with more than a third of the world's nation states having built barriers along their borders, redefining our political landscape. © 2018 Mercy international Association. Mercy communities, ministries and groups are welcome to use this graphic. Remarkably, there's another wall going up - or, rather, across: the Great Green Wall, an African-led project with an epic ambition: to grow an 8,000km natural wonder of the world across the entire width of Africa, in the Sahel region, at the southern edge of the Sahara desert, on the frontline of climate change. This is crucial - according to a study published online 29 March 2018, in the Journal of Climate, the Sahara desert is expanding. It has enlarged by 10% since 1920. Inspired by Laudato Si' and the Great Green Wall project, the Society of African Missions, in the lead up to the World Meeting of Families and in Association with the UN Convention to Combat Desertification (UNCCD), has launched the Laudato Tree project to build support for climate action and tree planting in Ireland and the Sahel region. 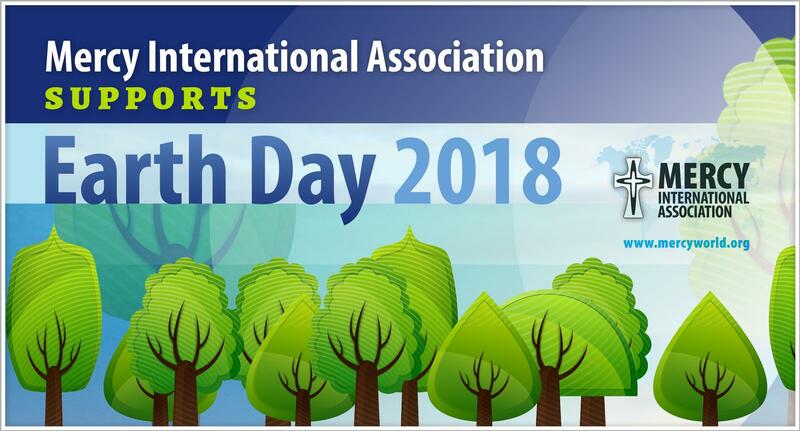 As we prepare to celebrate Earth Day (22 April), MIA invites all of us in the 40+ countries where Mercy ministers, over the next year, between Earth Day 2018 and 2019, to plant or help nurture a tree wherever you are located as a sign of support for the Great Green Wall and Laudato Tree projects and of our Sisters and co-workers in Africa. MIA has committed to planting six trees in the Sacred Garden at Baggot Street. When we look at the map of the Mercy world, what a contribution to the flourishing of life on Earth such a contribution will make! 'Let us resolve to do something' this Earth Day says Suzanne Gallagher rsm in her article (below). We invite you to record your commitment here We'll remind you of this project from time to time over the next tweve months and share some of the tree planting & tree nurturing stories through MercyeNews.